​I am Assistant Professor in the Department of Anthropology at UC-Davis. My interests focus on human paleontology and behavior during the Pleistocene and at the beginning of the Holocene. Although I see human evolution through the prism of archeology, my research is grounded in a multi-disciplinary approach that integrates the results of genetics and of physical anthropology. As a lithic specialist, I study the material culture of Pleistocene hominins to address issues related to subsistence strategies, cultural geography and population dynamics. My work on the peopling of Asia by Modern Humans, Neanderthals and the Denisovans considers late Pleistocene hominins as mobile hunter-gatherers responding to a complex and changing physical geography and environment. ​As a field archeologist, I participated in numerous Paleolithic excavations from Western Europe to the Tian-shan, including sites in western Russia, in Iran and in Uzbekistan. Since 2011, I am co-directing an international excavation project at the Paleolithic site of Tolbor 16, in northern Mongolia. In 2014, I joined an international team to conduct new research in Ningxia, north China. I am a Post-Doctoral researcher in the Department of Anthropology at UC Davis. I received my PhD in Palaeolithic Zooarchaeology from University College London (UCL) in 2010. My research is focussed on taphonomy, site formation processes and hominin behaviour at Lower and Middle Palaeolithic sites across Europe. Since 2012 I have been a post-doctoral researcher at MONREPOS Archaeological Research Centre (RGZM), undertaking the analysis of fauna from the Eemian Interglacial site of Neumark-Nord 2. I have undertaken fieldwork and research throughout Europe and Western Asia. Since 2015 I have been a Visiting Professor at Lanzhou University (China) teaching zooarchaeology and involved with ongoing research and fieldwork in Gansu province. In 2015, I received funding through the German Academic Exchange (DAAD) PRIME funding fellowship based at the University of Mainz but on secondment in the Department of Anthropology since March 2016. My research project, in collaboration with Dr. Teresa Steele and Prof. Sabine Gaudzinski-Windheuser, is investigating and comparing behavioural transitions in subsistence behaviour during the Earlier to Middle Stone Age in Africa and Lower to Middle Palaeolithic in Europe. Both these periods are of critical importance as they witness the emergence of modern human traits and behaviour in Africa and, similarly, the development of Neanderthal morphology and associated behaviours in Europe. This project provides a much needed inter-regional perspective on a crucial period in human evolution, developing new methodological approaches and research collaborations to further investigate hominin subsistence behaviour at a broader geographic and temporal scale. I am an archaeologist and assistant professor of anthropology at UC Davis. I earned my Ph.D. from The University of Arizona in 2014. My research draws upon the archaeological record, quantitative methods, experimental archaeology, and ethnoarchaeology to understand the evolution of complex human behaviors among ancient forager societies. I am particularly interested in understanding how early hunter-gatherers of the Andes Mountains adapted to physically challenging alpine environments above 3800 meters in altitude and how cooperative social structures, potato and quinoa agriculture, and alpaca husbandry evolved between 12,000 and 3500 years ago. Experimental and ethnoarchaeological analyses are important components of my research. I am currently conducting a meta-analysis of experimental foraging returns, which compares the foraging efficiency of novice experimenters (i.e., archaeologists) to the returns of expert Dukha foragers who live in the Mongolian Taiga. 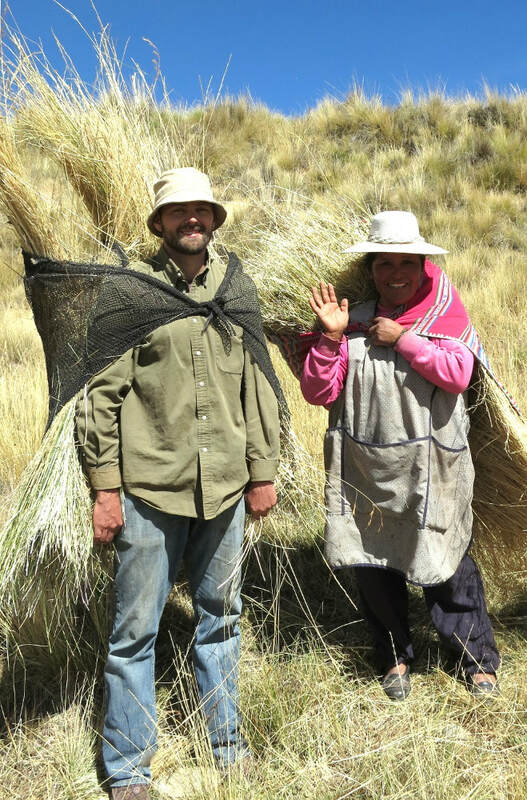 I am also directing an ethnoarchaeological study of wild vicuña drives among Aymara communities in the Andes of Peru in order to better understand the social dynamics of large-scale cooperation and it archaeological indicators. Finally, I am conducting ethnoarchaeological and experimental research on human movement patterns to better understand the structure and drivers of human mobility as well as the archaeological outcomes.